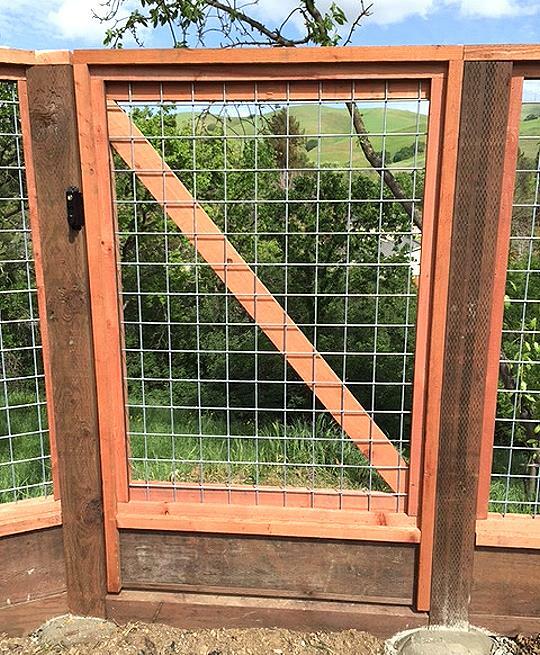 Love the view, but tired of feeding the deer? 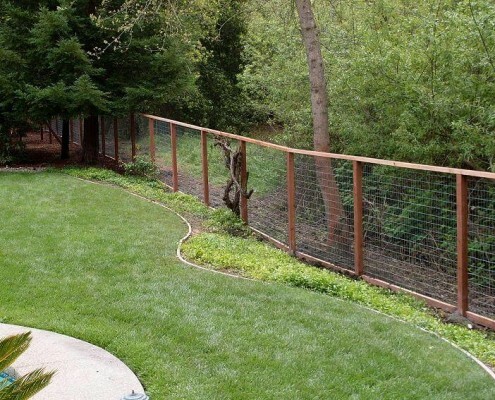 A & J Fencing can keep the view you love while keeping deer out of your yard with our virtually invisible deer fence. 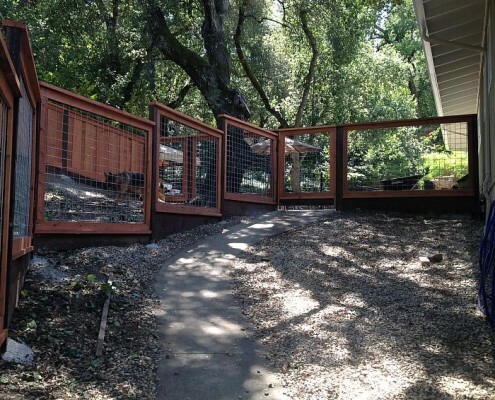 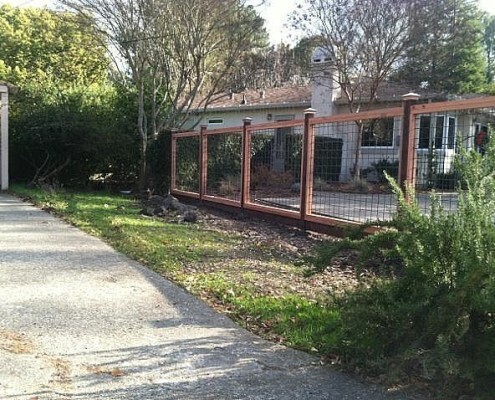 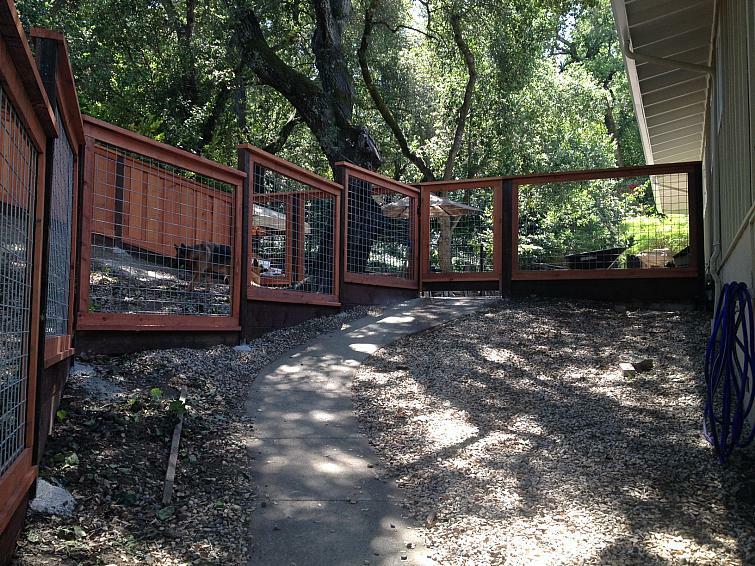 Using the highest quality materials, an A & J deer fence will protect your landscaping for years to come. 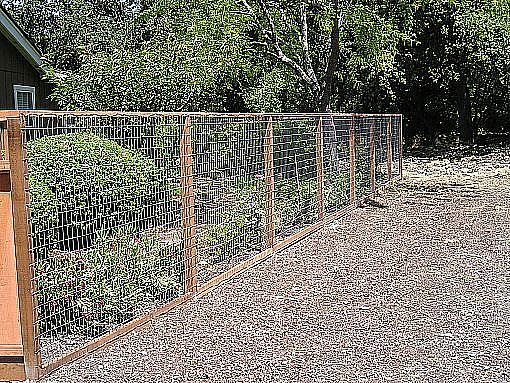 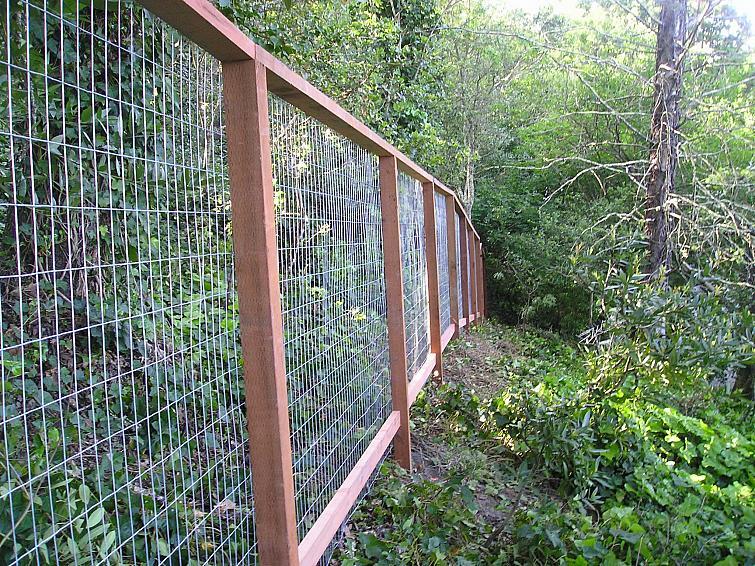 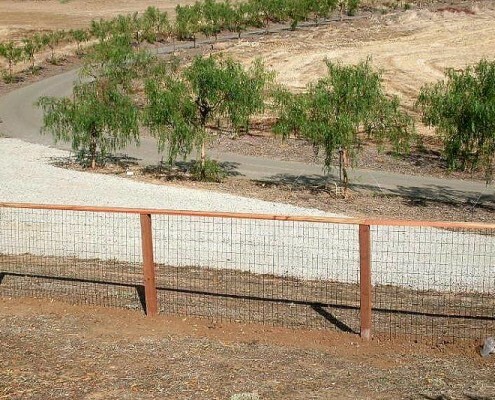 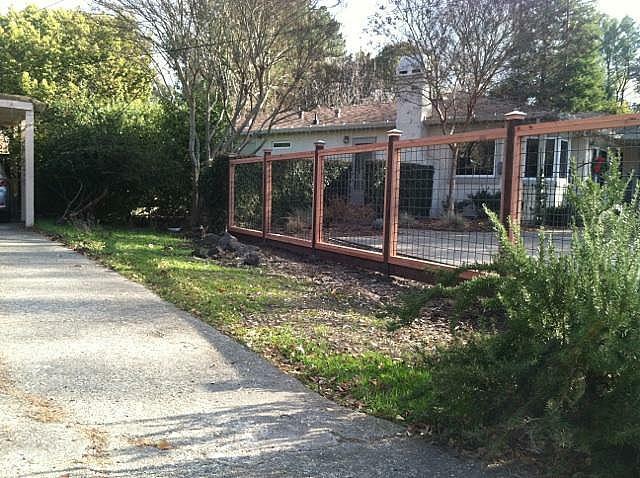 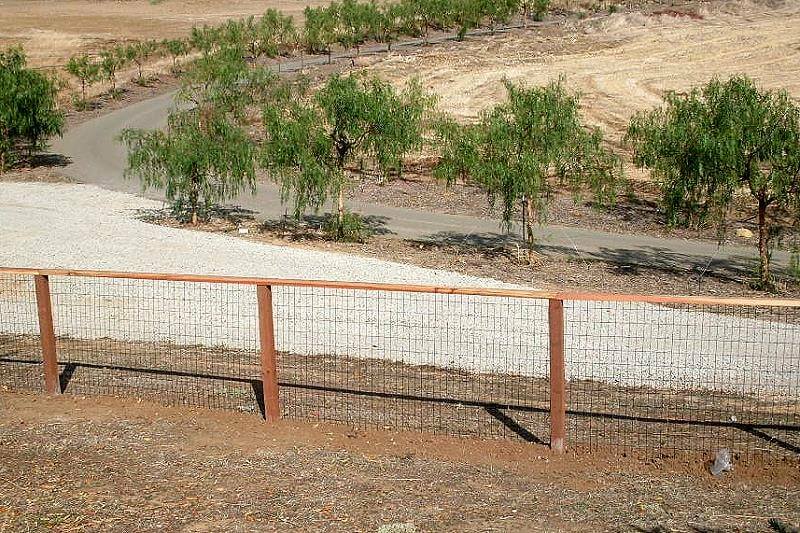 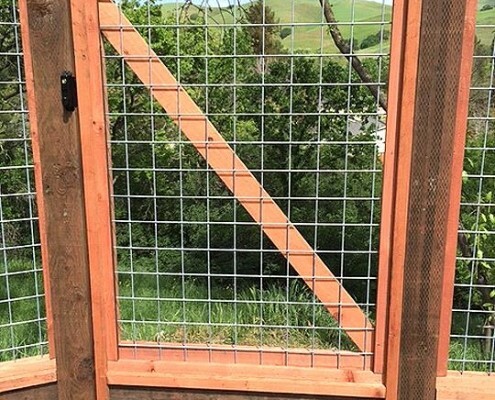 Our fully-framed deer fence uses 4 x 4 inch pressure-treated posts with or with out a kick plate. 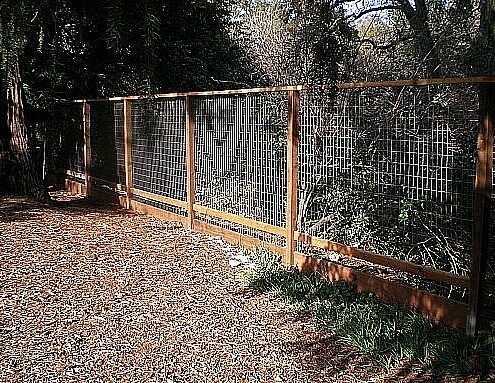 Welded wire 2 x 4 inch galvanized fabric mesh is then pulled tightly and nailed with 1 ¼ inch u-clips. 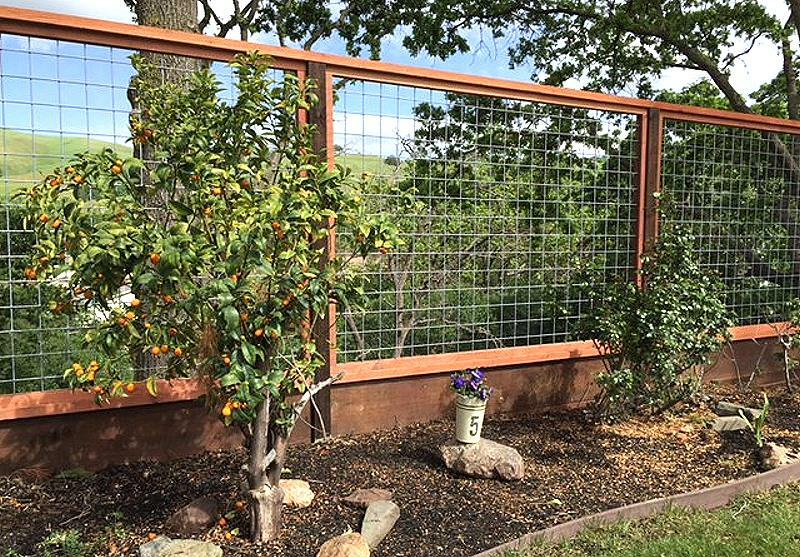 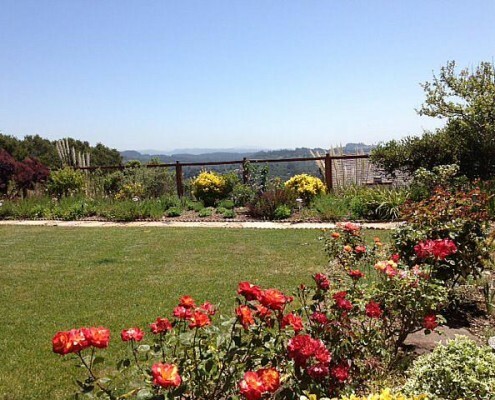 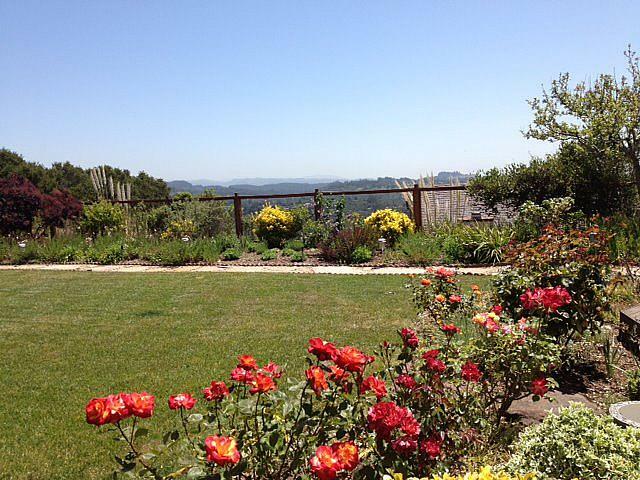 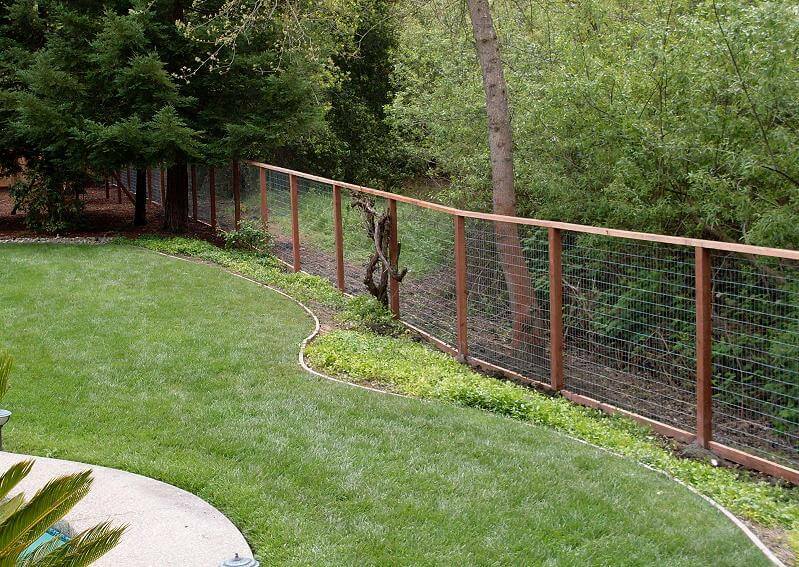 This nearly invisible fence is a perfect solution to protecting your garden and preserving your view. 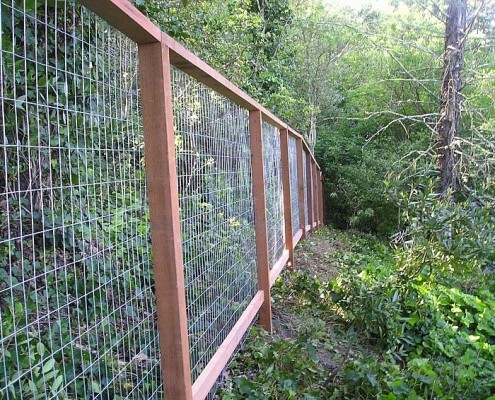 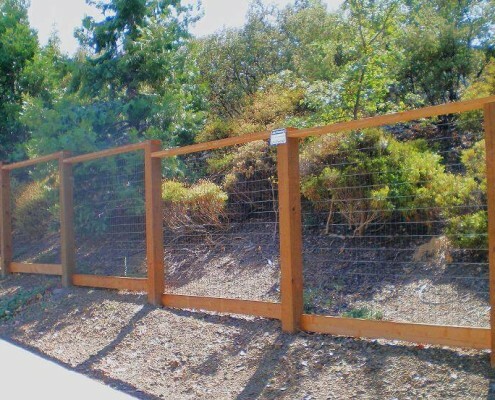 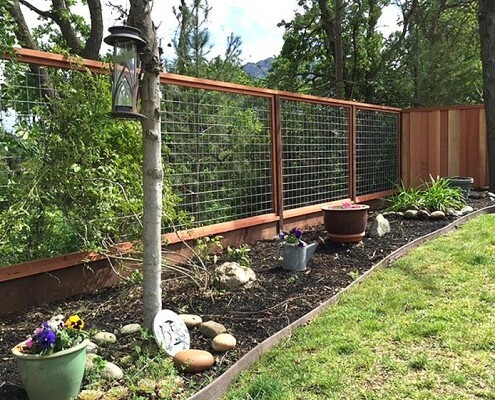 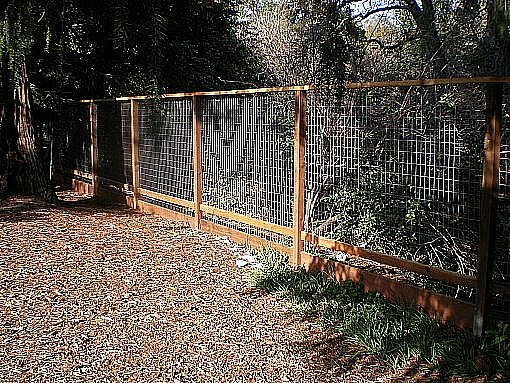 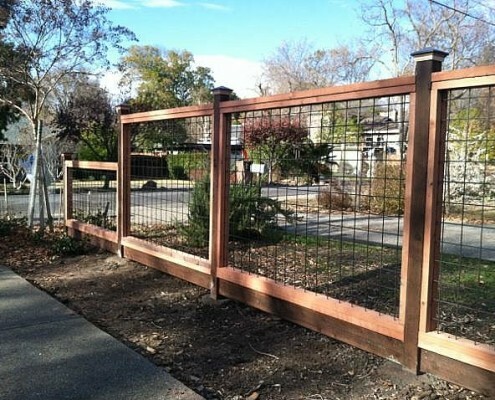 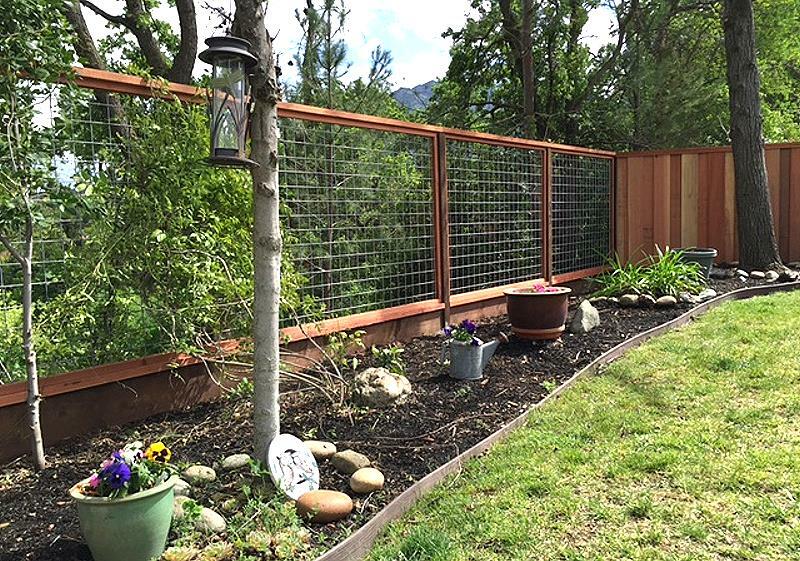 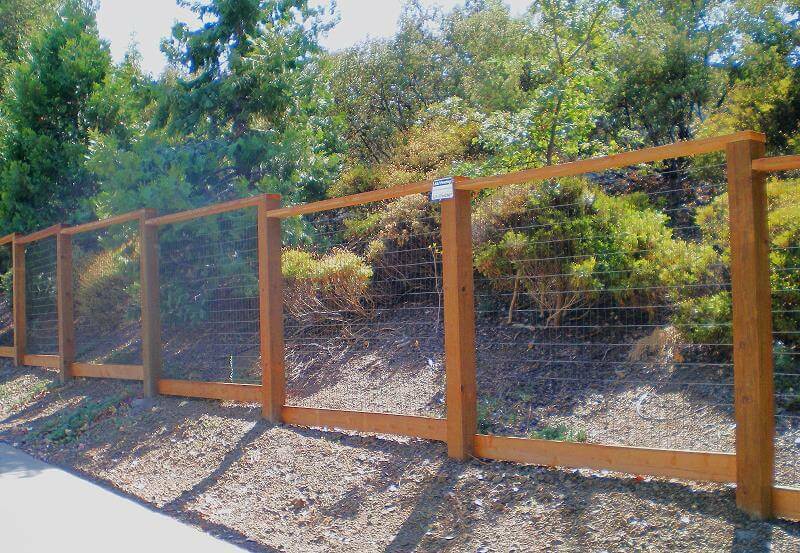 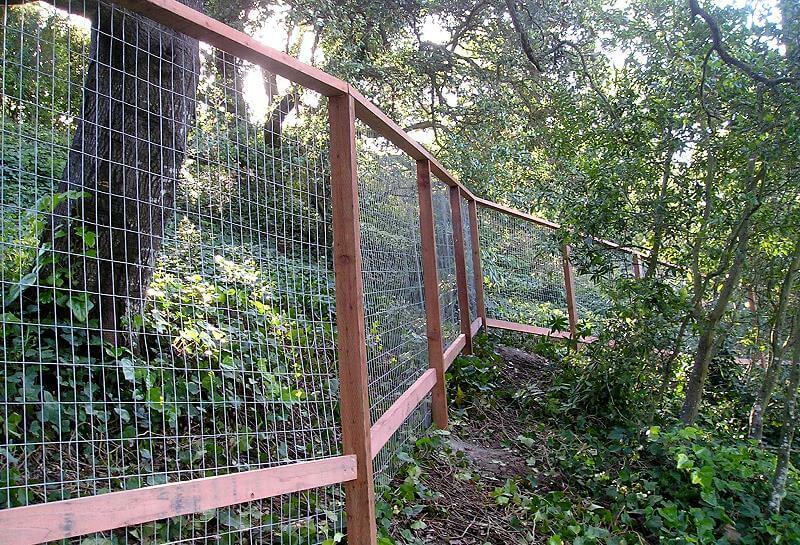 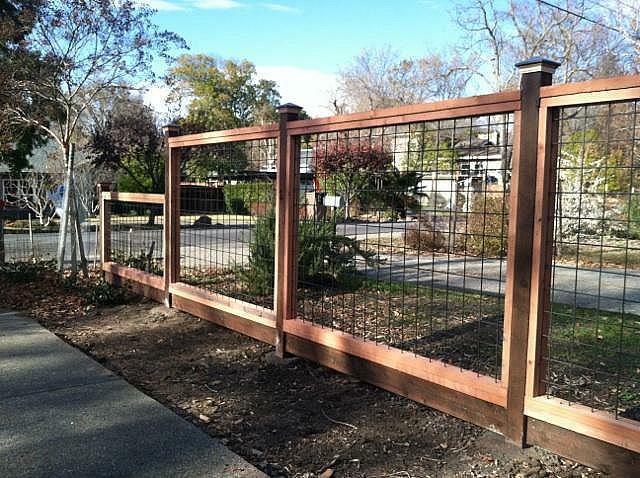 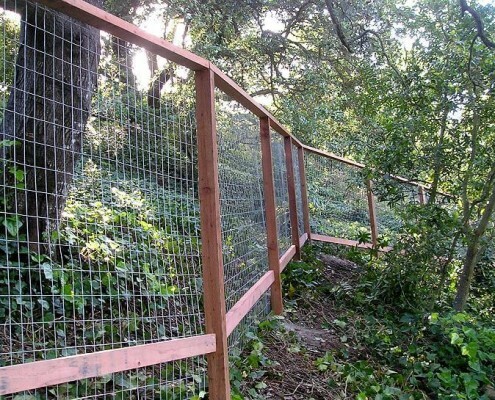 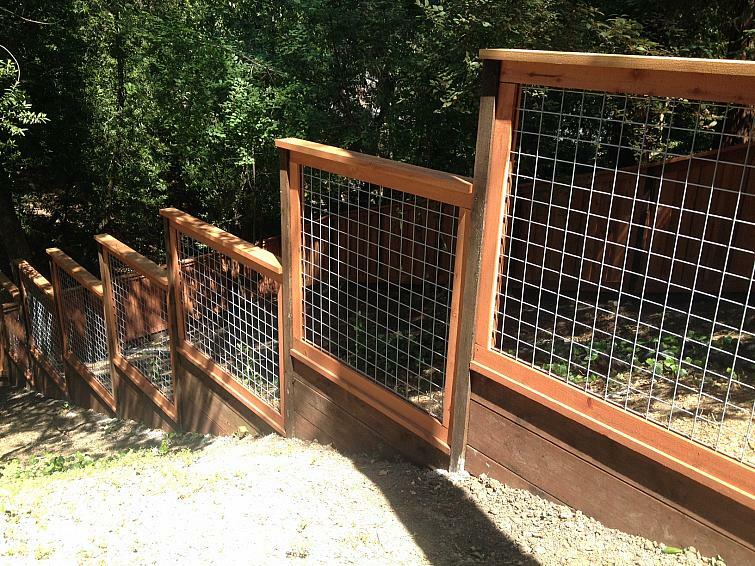 Hog wire is a heavy duty gauged fence that won’t collapse or flex. 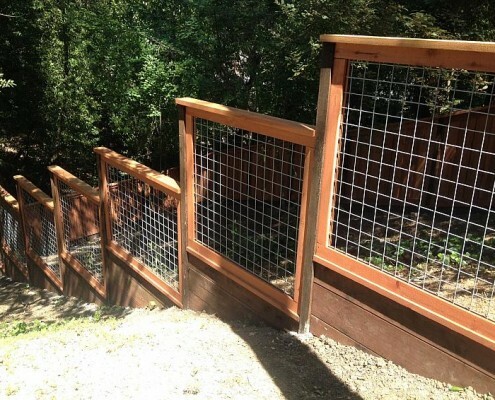 It’s capable of retaining and carrying a lot of weight with out changing the look or shape of each panel. 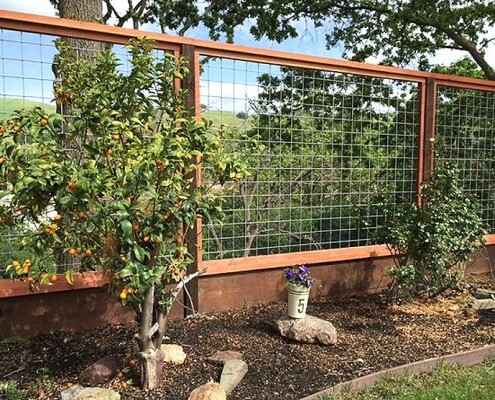 Due to its versatile design, this style of wire is ideal for livestock, gardens, trellises and much more.